There’s no doubt about it: a lockout or flat tire can quickly ruin your day. 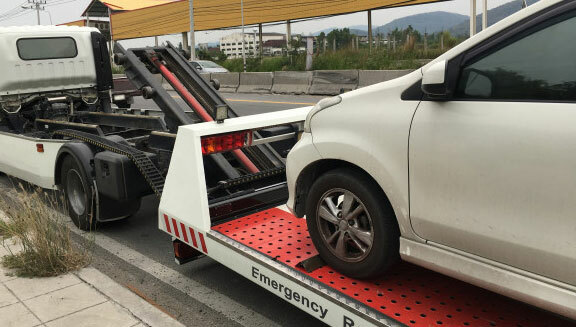 The Las Vegas sun can quickly go from warm and relaxing to sweltering when you’re stuck by your car on the side of the road.If you’re dealing with a lockout, flat tire, dead battery, or you have run out of gas, there’s no need to pay for a Las Vegas tow truck to tow you back to the shop. Isabella’s Towing offers affordable roadside assistance in Las Vegas and Henderson, NV to get you back on the road as quickly as possible. Learn about our repair services below and CONTACT US for a FREE ESTIMATE. A lockout can happen to anyone. Maybe you were running late or you’re just having an off day. Before you know it, you’ve shut the door only to realize you left the keys in the ignition. Don’t make the mistake of trying to get into your car yourself. While you may hear that it’s cheaper to just break a window than call an auto locksmith, this is rarely the case. Using a hanger can also destroy your weatherstripping and allow water to get inside your car. At Isabella’s Towing, we can safely unlock your vehicle and retrieve your car keys without damaging your car. We can open all makes and models within minutes to get you back on the road. We use a variety of methods depending on your make and model. For upright-style locks, a slim jim can be used to hook and disengage the lock. A more common method today is the use of wedges which create an opening in your door to allow another tool to unlock the car from inside the door. 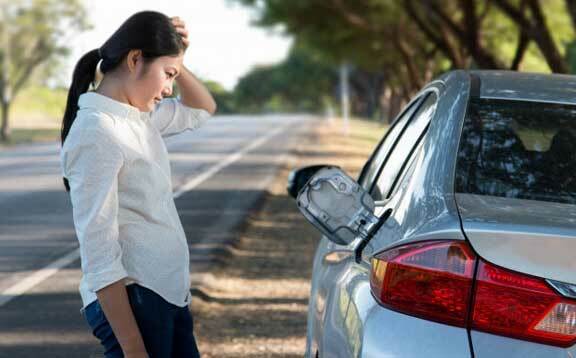 If there’s something wrong with your car that can’t be solved with roadside assistance, we can still help. Isabella’s Towing offers affordable towing service in Las Vegas to tow your car to the shop or your home. We are an at-will towing company that can arrive quickly in your time of need. We understand how stressful and exhausting it can be when your have been involved in an accident or you are dealing with some type of mechanical failure. We will get you off the road and to a nearby service station or your home as quickly as possible. It can happen to anyone: you thought you had enough gas to get you where you’re going or your fuel gauge is broken and you find yourself stranded and out of gas. Isabella’s Towing can be there quickly. Our towing company in Las Vegas can arrive on the scene with the type of gas you need, including diesel. The 2 or 3 gallons we deliver will be plenty to get you to the nearest gas station for a fill up. You’ve been meaning to put a set of jumper cables in your trunk but you keep forgetting. Now you’re stuck in a parking lot with a dead battery and no way to get moving again. Everyone’s been there. Whether you left a light on or you have a starter that’s going bad, we can arrive quickly to help. Isabella’s Towing offers affordable battery jump start service to bring your battery to life and get you on the road. We can even give your battery a jump if you are parked in an area with restricted access like a parking garage. You’re on your way to work or running errands when a tire blows out. Unfortunately, even new tires can go flat if you hit something on the road. We understand just how stressful a flat tire can be. After all, it’s more than just an inconvenience; having a tire blow while driving can also be dangerous. You may be late for work, picking up the kids from school, or an important appointment. Unfortunately, the risk of a blow out increases the hotter the tire gets. Flat tires are far from uncommon in the Las Vegas heat. If your tire has gone flat, don’t worry; Isabella’s Towing can be there quickly to perform a flat tire change. We will change your flat with your spare tire or possibly inflate your tire so you can drive to a tire shop for a new tire. If you don’t have a spare tire and your tire can’t be inflated, we offer fast and cheap towing in Las Vegas.